Truly an X Factor for the Weider Brand? Since 1936, the Weider brand has enjoyed a reputation for high quality fitness products and services. Weider brand products, including the recently introduced Weider X-Factor Door Gym, are sold in over 120 countries. The Weider X-Factor Door Gym is a total-body training system designed to attach to any standard door. The key to the success of the X-Factor Door Gym is its unique progressive resistance bands – providing up to 210 pounds of resistance – and enabling explosive movements of the core and extremities which build strength and add muscle mass while burning fat. Resistance increases as the user exerts more force. The Weider X-Factor Door Gym is an excellent, low-priced (markets for approximately $100) piece of fitness equipment for those who have little space at home for gym apparatuses; the compact X-Factor – which arrives already assembled – conveniently and easily mounts on virtually any door. In fact, it is so small, lightweight, and portable – and, so simply attached to a door, that the user can either leave it up or take it down and re-mount it before each exercise session. The X-Factor Door Gym includes solid, high-quality components: two handles, two ankle straps, four connection clips, and resistance bands. Also provided are a wall chart with over 50 body-sculpting exercises; three informative and professionally produced workout DVDs (X-Factor Total Body Workout, MMA (Mixed Martial Arts) designed Explosion Workout, and X-Factor AB Shredding); and an eight-week computer-based nutrition guide. 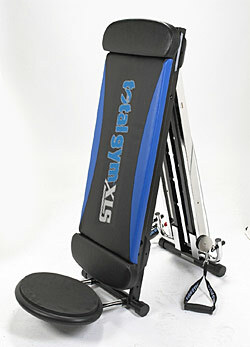 The dimensions of the Weider X Factor are 22 x 7 x 11 inches; weight is 10 pounds. The X-Factor includes a limited lifetime manufacturer’s warranty against defects in materials and workmanship – unusual for exercise equipment in this price range. There are a few considerations to keep in mind before purchasing an X-Factor. For one, there have been reports that the bands on the right and left side don’t provide the same resistance, potentially a serious drawback for efficient exercising. And, concerning assembly, the brackets that go over the door are wide; they may prove to large for thin doors. Also, the accompanying instructions recommend installing the X-Factor on the side of the door that closes against the doorjamb in order to increase the strength of the door as the user pulls against it during exercise. Most frequently, doors open into a room, so the user will likely be exercising in a hallway. And, there must be at least 1/8 of an inch clearance between the top of the door and the doorframe, and 1/8 of an inch of clearance between the bottom of the door and the floor in order that the bracket fits when the door is shut with the X-Factor installed. In conclusion, the X-Factor Door Gym is an extremely versatile fitness apparatus, which adapts to multiple exercises with smooth resistance movements. The X-Factor is perfect for targeting individual muscles and muscle groups. It’s of more durable construction than the similar but slightly higher priced Weider X Factor Door Gym. Bottom line: Larger, higher-priced exercise equipment is perhaps preferable for those who have the money and the space; but for those who don’t, the Weider X-Factor Door Gym is an excellent alternative. Who can Benefit from using Weider X Factor? If you receive a quality copy (there have been reports of quality control issues w/ all Weider products) the Weider X-Factor can help almost anyone with their general fitness, strength and muscle building fitness goals. Athletes will find value in the large variety of exercises and the capabilities of creating different angles of resistance. There is a learning curve with all high and low cable pulley exercises so beginners may need exercise instruction. Is Weider X-Factor good for a Home Gym? 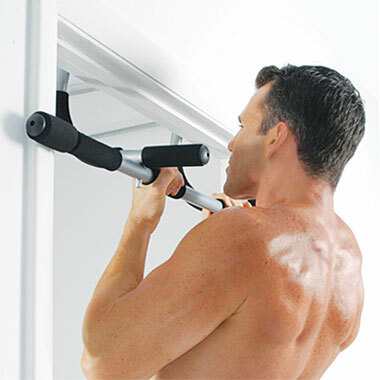 The Weider X Factor is an excellent space saving addition to any home gym! The X-Factor is great for most home gyms because it takes up such a small amount of space on the back of a door which is seldom used. If space is the most valuable commodity of your home gym then the X-Factor could be the perfect piece of equipment for you. Is it good for the Commercial Gym Setting? The Weider X Factor was not designed for use in a commercial gym. The build quality of the Weider X factor’s metal parts are solid and sturdy but the bands, pulleys and carabiners would not last a week with commercial gym use. 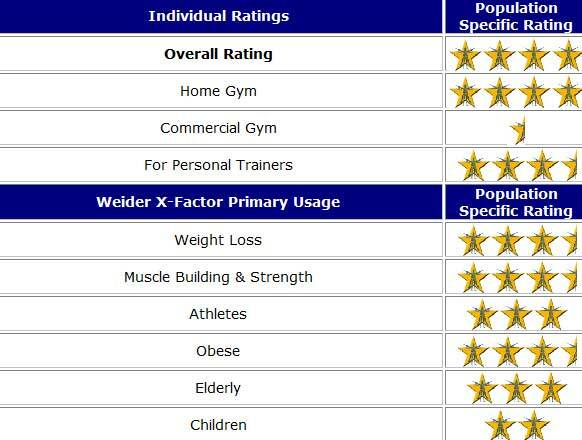 How is Weider X-Factor for Personal Trainers? The Weider X-Factor is a great tool for the personal trainer as it can provide endless variety of exercises to throw at clients, that is if the trainer is not mobile. Any personal trainer with space and a door can add the Weider X Factor to increase there arsenal of exercises. With the 4 metal pieces that attach to the 4 corners of the door the X-Factor is not very portable although if need be it can be brought to the homes of clients by mobile trainers to incorporate a large variety of exercises into the clients program. How do you Exercise with the Weider X-Factor? How it is Different from the Body by Jake Tower 200? How is it different from Resistance Bands? Like the Body by Jake Tower 200, the X-Factor consists of high and low cable pulley set up. In the case of the Weider X-Factor, the cables are rubber resistance bands. Handles attached to the cables can be pulled for various resistances depending on how many resistance bands are attached to the handle. The user of the Weider X Factor can perform exercises from either the top, bottom or the middle by attaching both upper & lower cables to a single handle. Exercises such as biceps curls, triceps extension, chest press, lat pull down, seated rows and many more are possible. The exercises on the Weider X Factor are almost identical to those possible with a good set of resistance bands. The advantage for the X Factor is that the cables are spread apart at a wide distance. The primary advantage of resistance bands is the portability as the X Factor as well as the Tower 200 have heavy bulky metal parts that are not at all portable. The Weider X Factor basically uses a combination of cable, pulley and resistance band types of resistance, you can perform almost all the same exercises as commercial gym selectorized cable machines. Where can I Buy the Weider X Factor ? The as-seen-on-TV Weider X-Factor is not sold in stores but you can buy them online from online retailers such as amazon. Before you decide make sure to check out the Bodylastics Resistance Bands and the Body by Jake Tower 200 Review.